The MLT 625-75 H is an incredibly compact machine. Specially designed for agricultural activities, it will prove to be an asset when tackling the daily tasks that need to be done on your site. 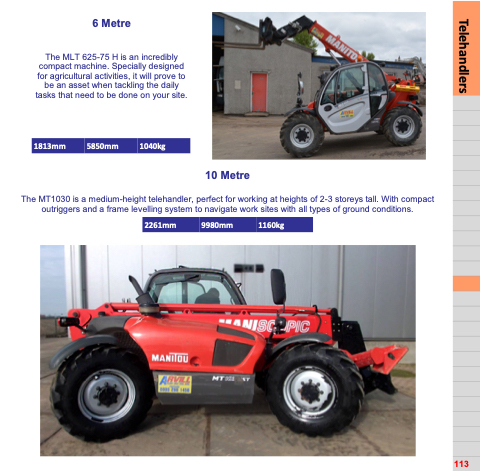 The MT1030 is a medium-height telehandler, perfect for working at heights of 2-3 storeys tall. With compact outriggers and a frame levelling system to navigate work sites with all types of ground conditions.